PREMIUM GUN POWERED RED DOT AND PHONE BRACKET SOLD SEPARATELY! How far does the BRX laser tag gun shoot? The BRX has a reliable shooting range in sunlight at 600ft (180+ meters). At night the BRX shoots even farther! How many games are installed on the BRX laser tag gun out of the box? Does the BRX have volume options? The BRX gives you 1-5 volumes option found when editing the settings for a game. What is the battery life of the BRX? A charge takes about 3-4 hours for on average of 8 hours of gameplay. What type of laser is used in the BRX? The BRX has a class 1 IR laser. The laser is not visible to the naked eye. I’m having problems hitting my target? Is my BRX not working? Do you offer any Bulk Discounts for the BRX? No, there is no current volume discounts on the BRX. What comes in the box whey I buy a BRX Laser Tag Gun? 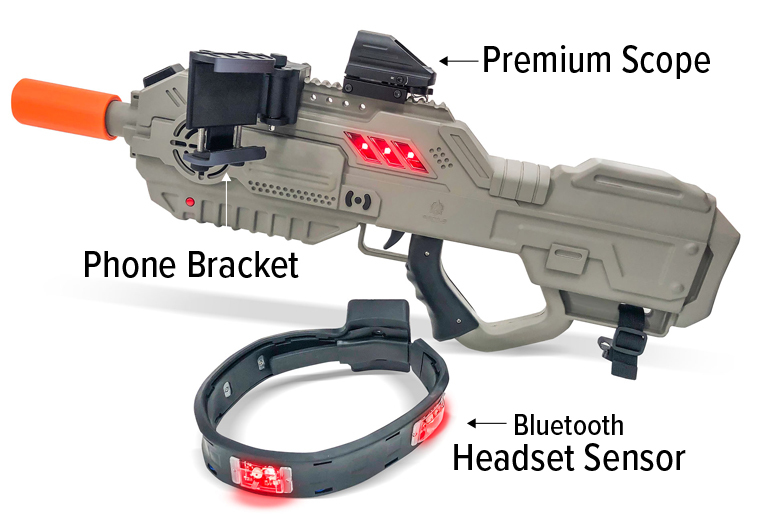 A BRX, reflex red dot sight (not powered by gun), headband, and chargers. The phone bracket and upgraded scope are sold separately. Is sighting in the BRX gun difficult? The first time can be bit challenging however follow the instructions from the manual and you will get it in no time. Once you sight in the first gun accurately, sighting in the others BRX systems is much easier. What is the BRX made out of? It’s made out of nylon reinforced fiberglass polymer. They are extremely durable! What are the physical specs of the BRX? If I need spare parts where do I get them? There is a parts store online where you can purchase parts if wish to repair it yourself. You can also obtain an RMA, and send your BRX to Battle Company for a technician to repair it. There are charges associated with repairs and maintenance. Where can I find a copy of the BRX manual? 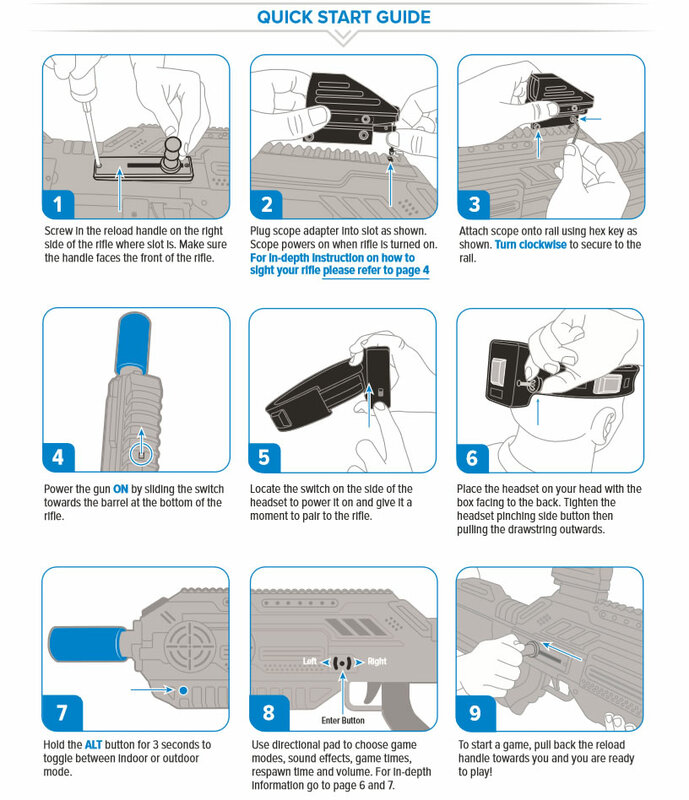 You can view the manual for the BRX Laser Tag gun here. We have been manufacturing and selling commercial grade laser tag equipment for about 7 years. The BRX has been on the market for about 2 year. Does it work with EDGE (Battle Company’s Commercial system)? No, the BRX is not compatible with any part of the Battle Company commercial system.